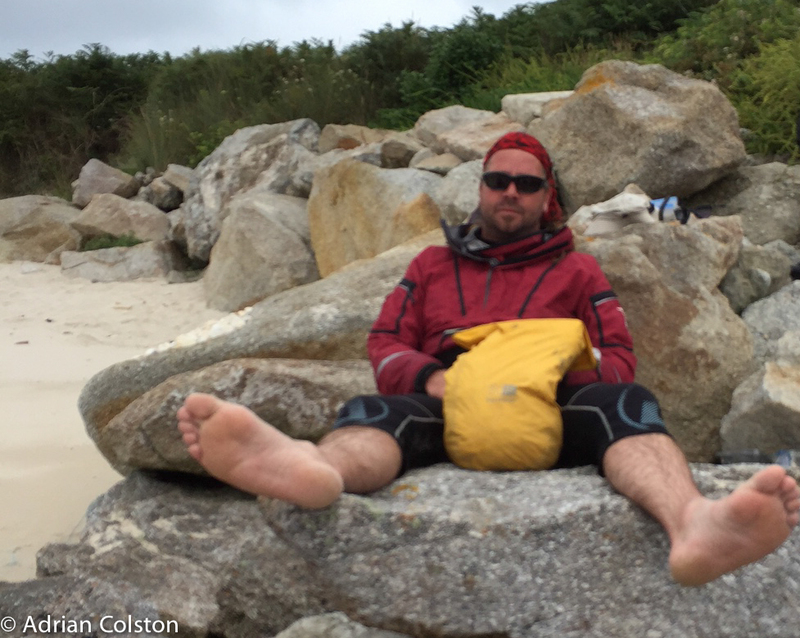 Back home now in Exeter after the Scilly Expedition. 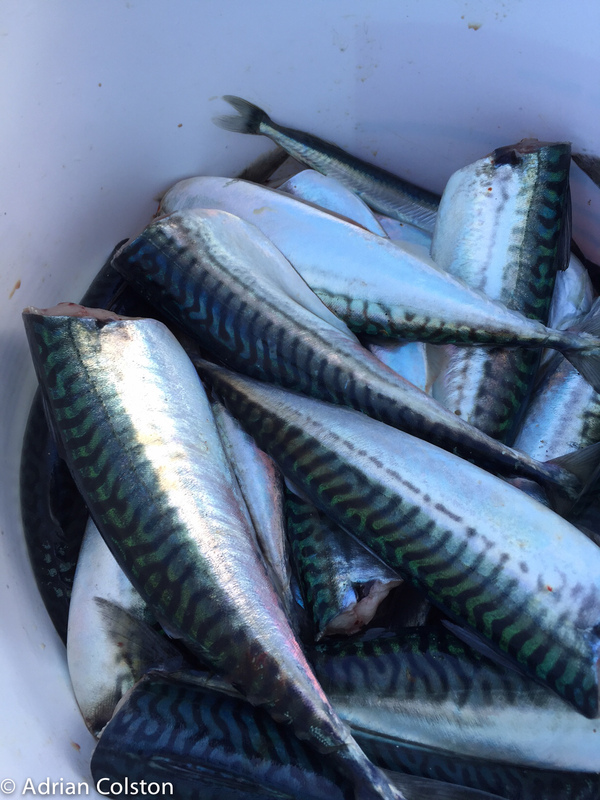 Two loads of highly ‘scented’ washing done; tent, inflatable mat and sleeping back drying and airing; Trangia washed in hot water to remove the smell of not so fresh mackerel; wetsuit, jacket and flotation aid washed and dripping and electrical devices and gizmos charging – nearly there. Time to fire up my NutriBullet to make a smoothie to replace my diet of burgers, bacon and beer. 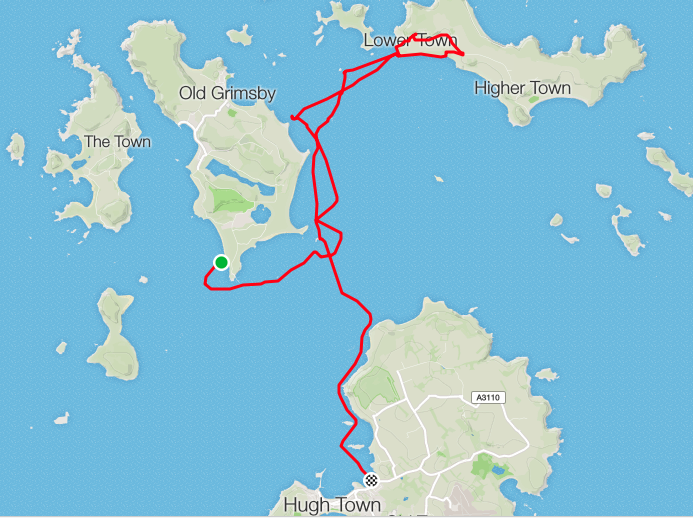 I have managed to get the trip traces off my Garmin and they give a good indication of what we got up to last week. 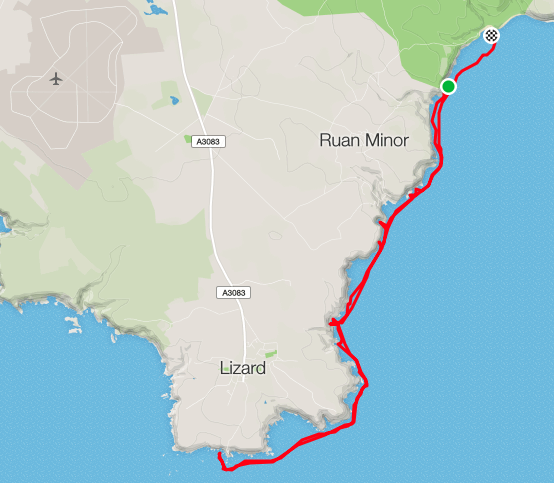 Here is part of the route we took on Wednesday (here is my blog from that day – here). It only shows the second half as our departure from St Mary’s in the morning was a little stressful. 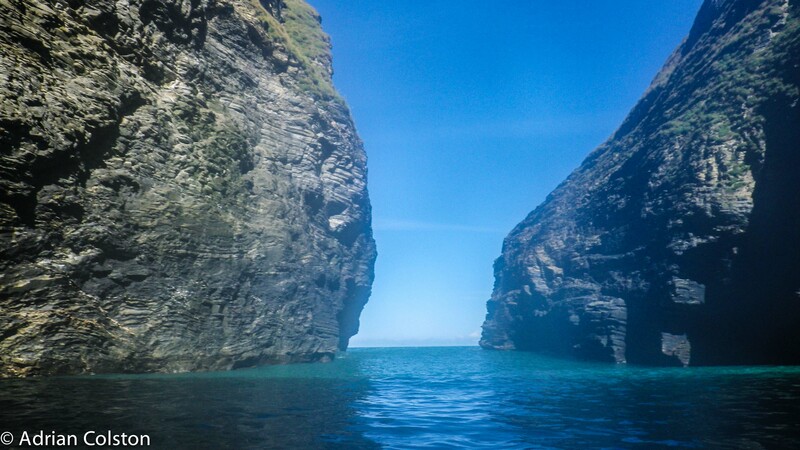 We were about to leave on our first proper ‘crossing’ to Samson when a squall blew up and turned the glassy still harbour into a nasty chop – we aborted but the squall disappeared as quickly as it had come and the order was given to go. 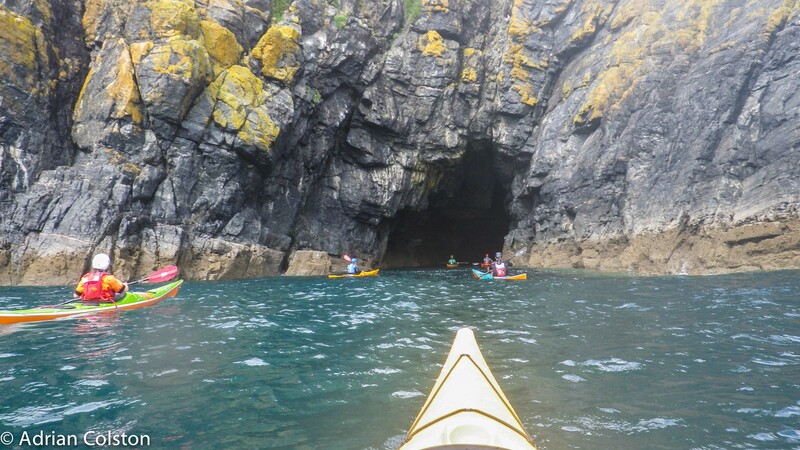 Everyone was still reeling from there chop and it became a white knuckle paddle to Samson (that might just have been me) – as a result I forgot to turn on the GPS. 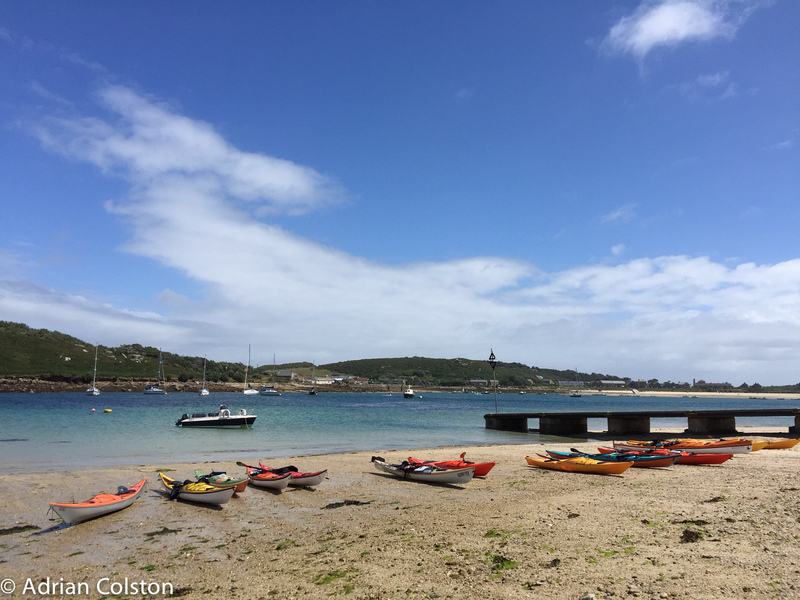 We did make it across to Samson (at least its exposed sandbanks) and then we headed up the east coast of Bryher to land and lunch near Anna Quay. 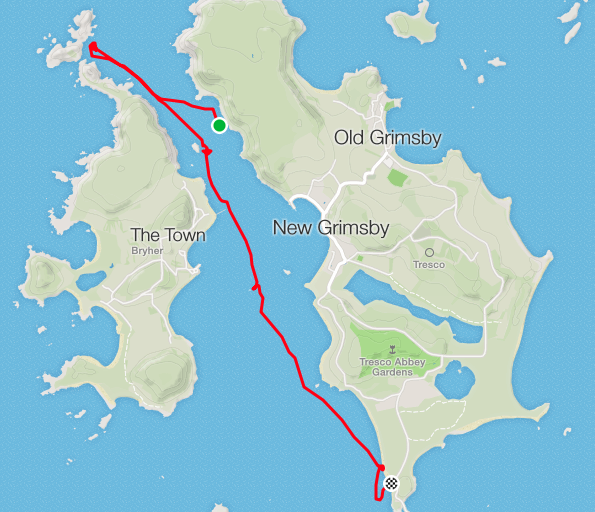 We then set off to look at Cromwell’s Castle (when I remembered to turn the Garmin on) and then up to Shipman Head and then back down to Appletree Bay by Carn Near. 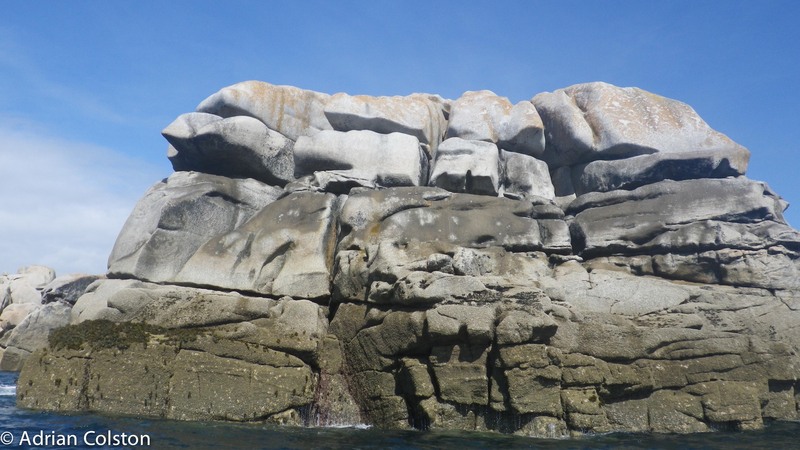 By this point the weather was approaching a Force 4-5 and we cancelled the proposed crossing back to Mary’s and got a lift back on the speedboat Endeavour. 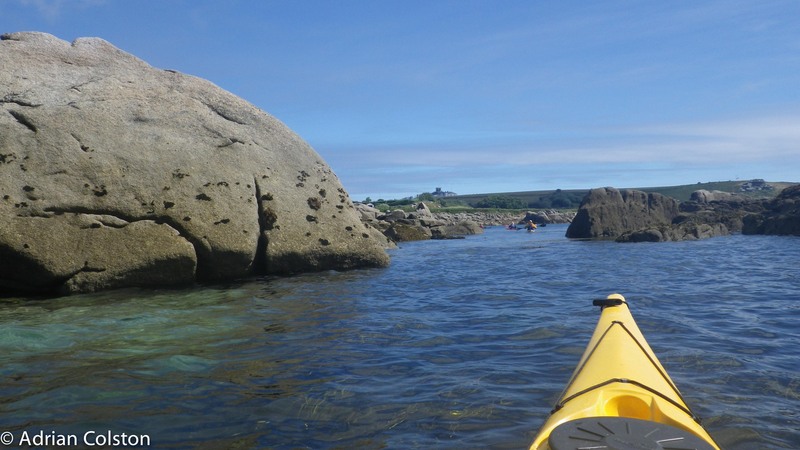 We stopped near Lower Town for lunch and went for various walks including a trip to the Seven Stones before heading back to St Mary’s. 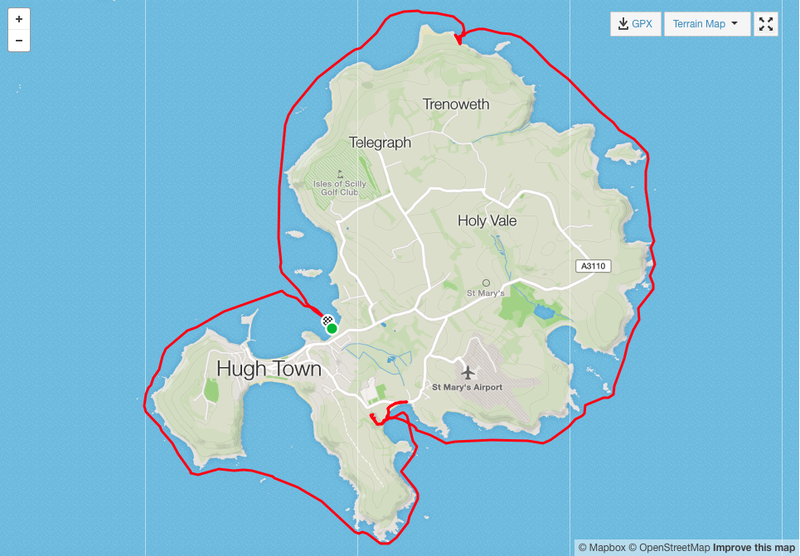 You can see a kink to the south east half way across the Roads – this is when we saw the Scillonian heading our way …. 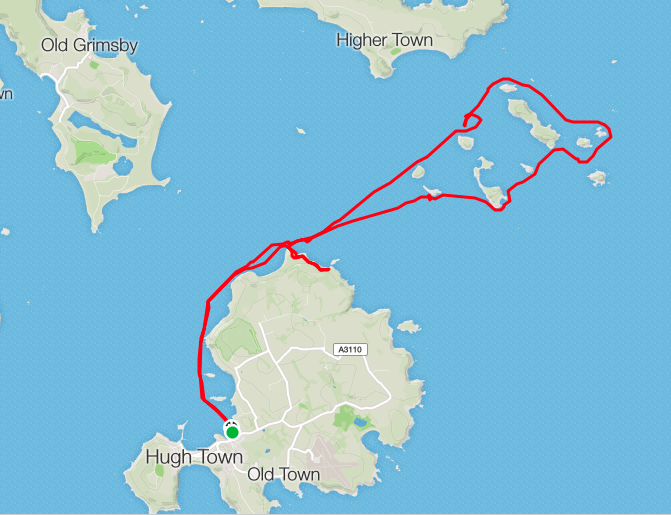 Saw the Scillonian again on the way back but this time it headed west. 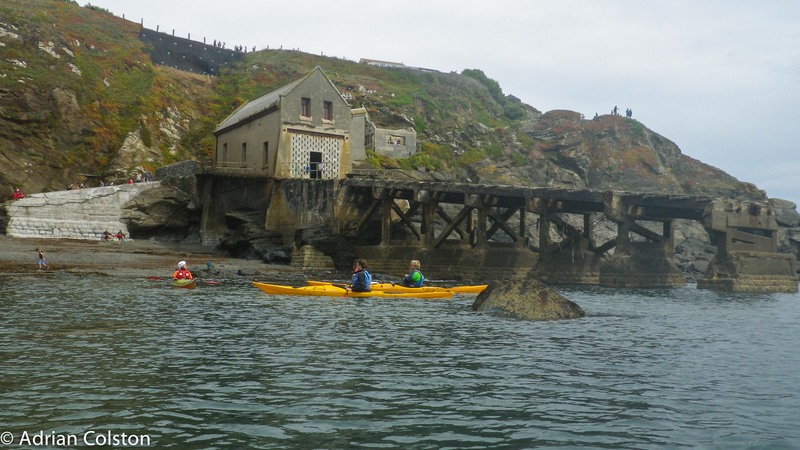 On our final day we went around St Mary’s (anti-clockwise). 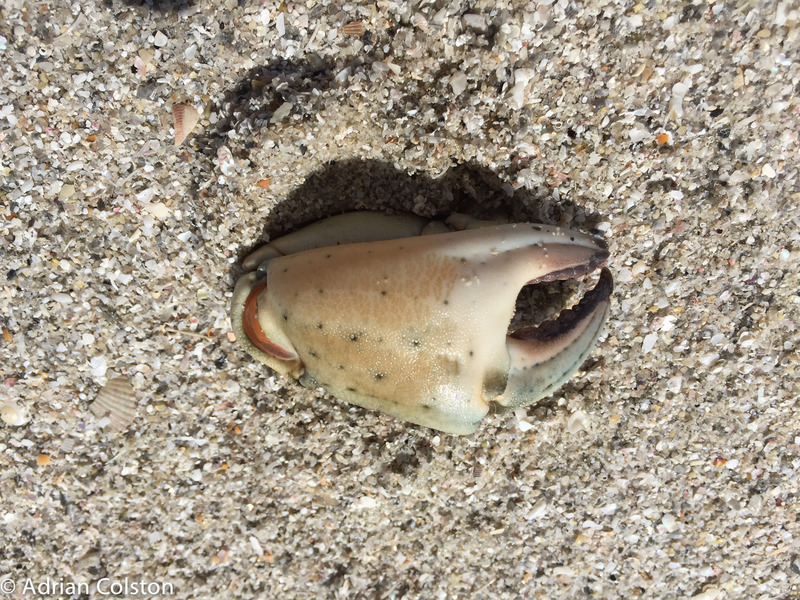 (Saturday’s blog here). 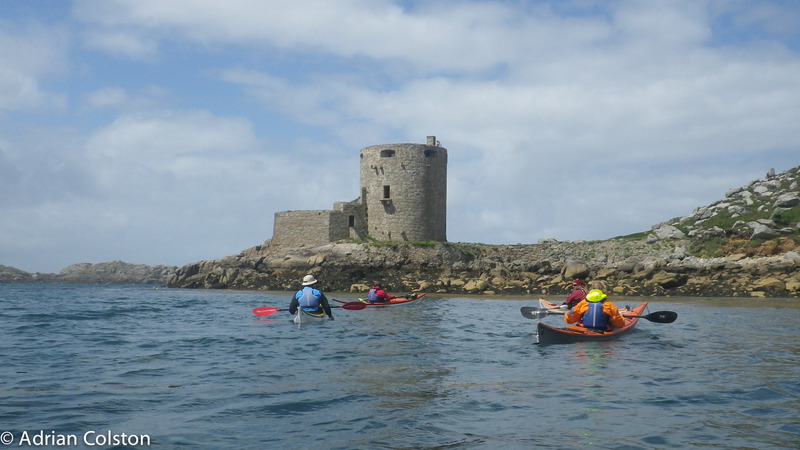 Passing the point on the south side of the Garrison saw some really ugly water which was a challenge to paddle through – we all made it and then stopped at Old Town Bay – walked up the beach to the Old Town Cafe for a tea but it was closed (on a Saturday in the high season – really?) 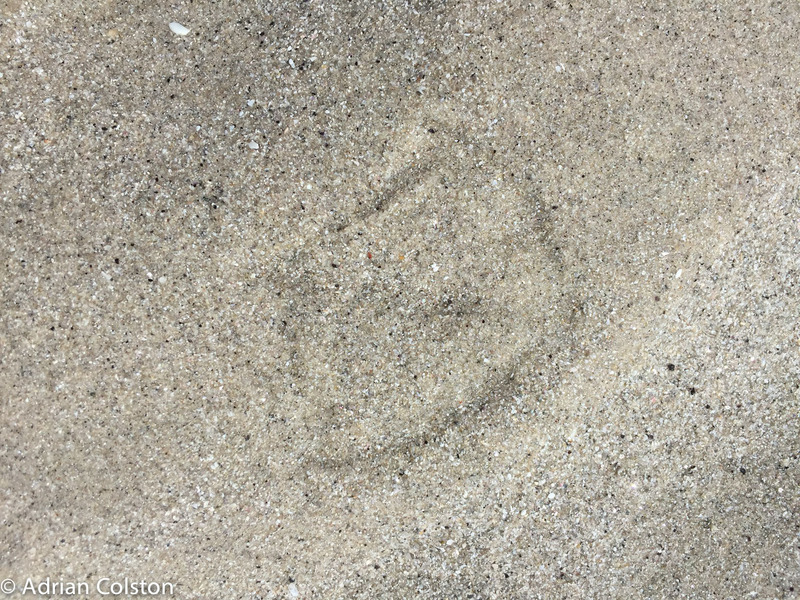 – instead some of us then popped into the Old Town cemetery to look at Harold Wilson’s grave (again the trace clearly shows this). 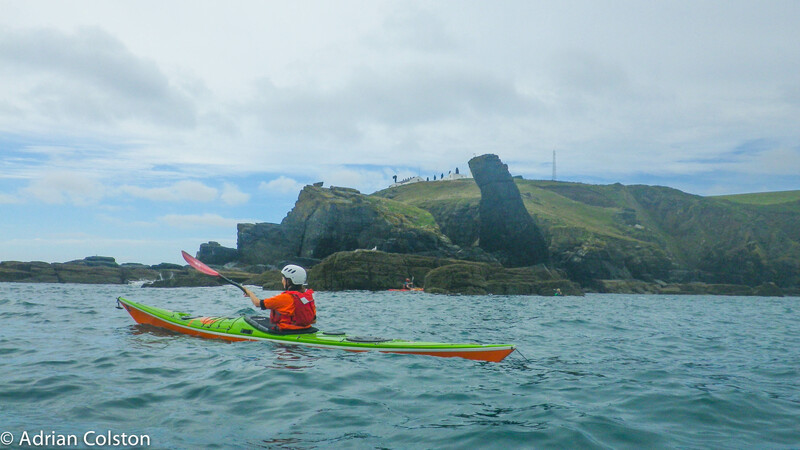 Onwards and around the south and eastern sides of the Island before stopping for lunch near at Little Porth, finally back around to the harbour. What a brilliant week – one of my best ever. 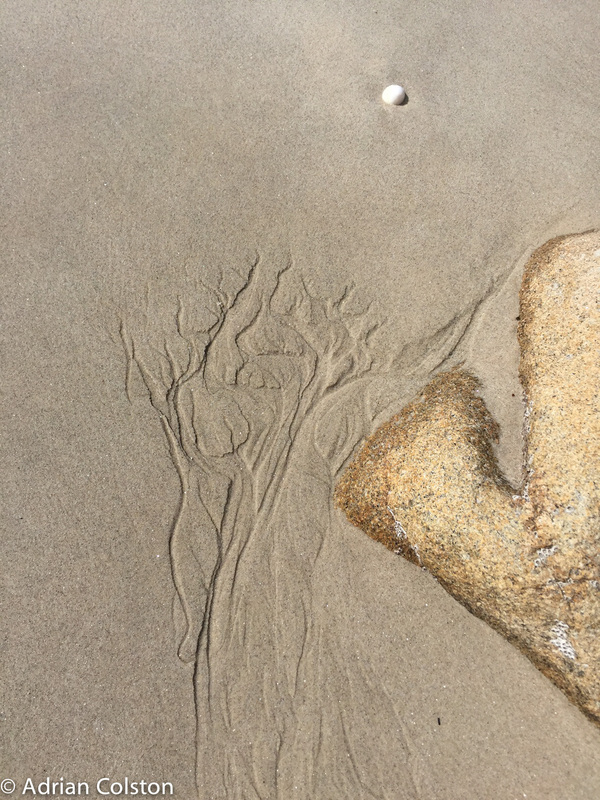 You can see a selection of my photos from the holiday here on my Flickr account . 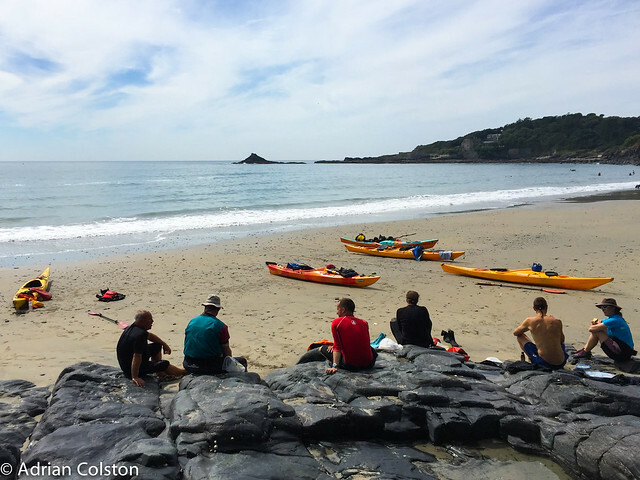 Huge thanks go to our leader Shaun from Sea Kayaking Cornwall along with his oft repeated quote “sea kayaking is an assumed danger activity”. 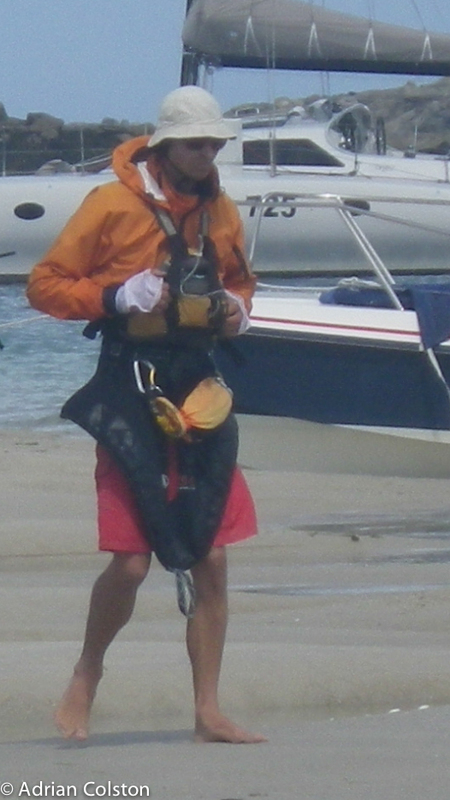 And his ‘wingman’ Mark along with his question “All good Adrian?” to which the answer was always yes irrespective of the sea conditions. 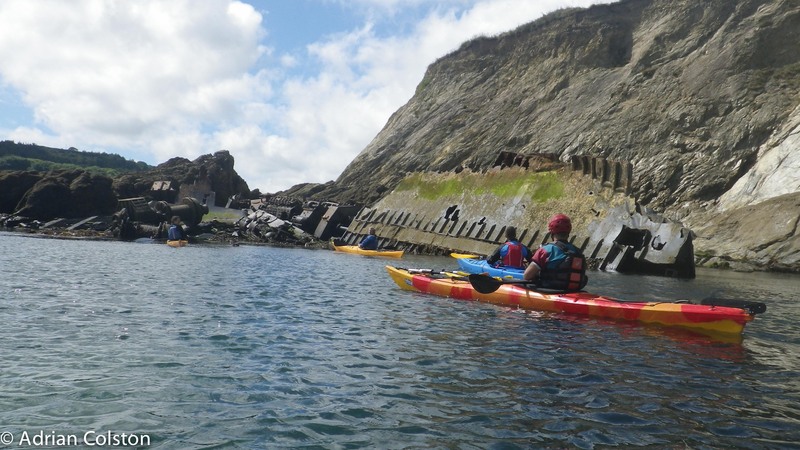 So has this inspired you to go sea kayaking? If it hasn’t I don’t think anything will! 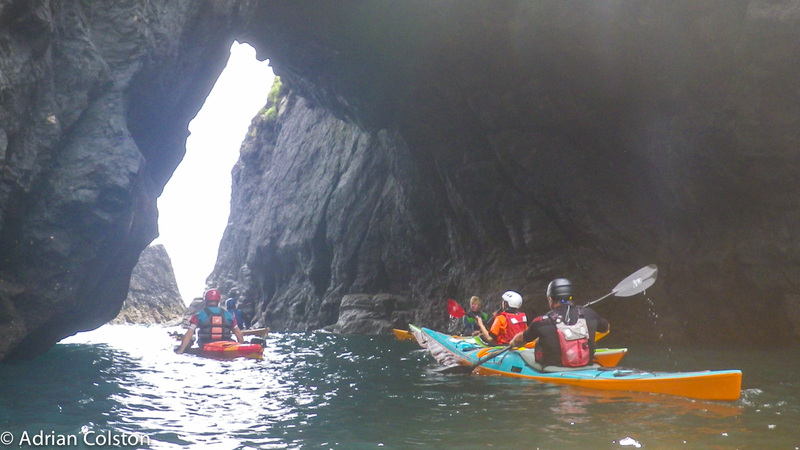 Sea Kayaking Cornwall offer courses and Expeditions for all levels of ability from Beginner through to Advanced. 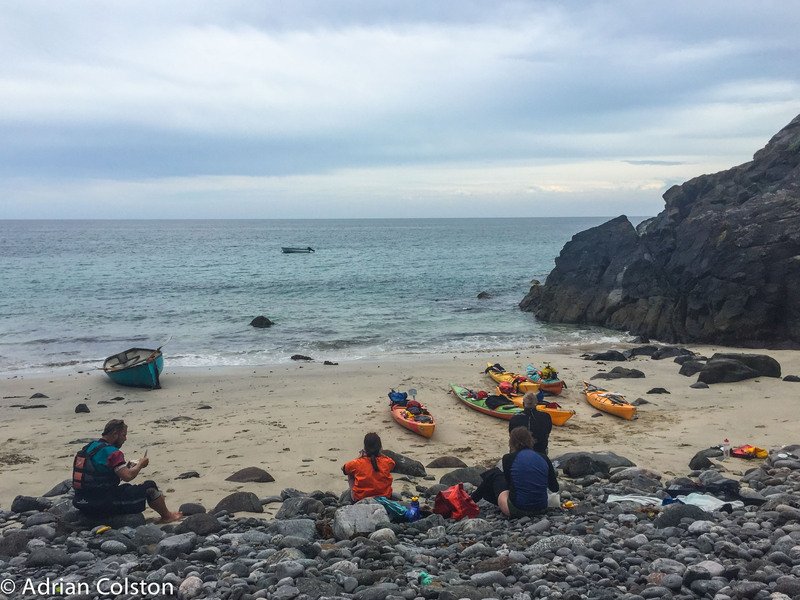 I went on their Intromediate Expedition – see here. 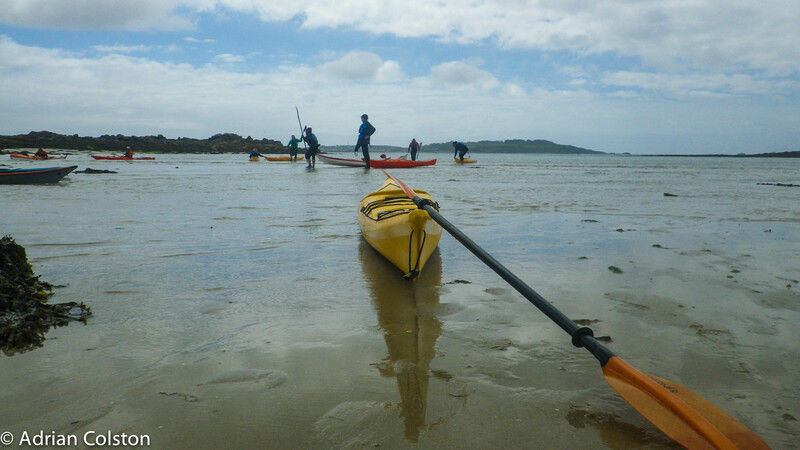 I have paddled a bit on the Dart, the Exeter Canal, the Exe, on Windermere, off the Norfolk coast, the Northumberland coast, around Stockpole, Scilly and Exmouth and I have done my 1* and 2* courses with the Exeter Canoe Club but I haven’t done a huge around and before this expedition I had always been pretty timid. 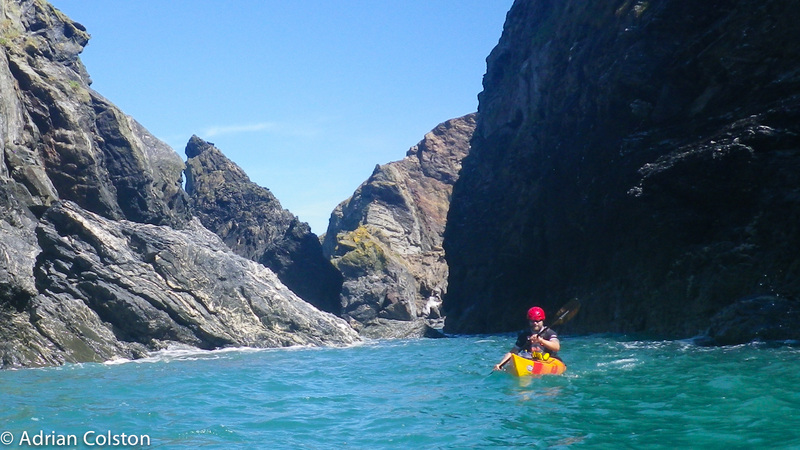 After an infamous expedition down the Dart a few years ago I coined the expression “Someone’s going to die” after a series of capsizes which three totally inexperienced kayakers attempted (successfully) to rescue another topple prone paddler. 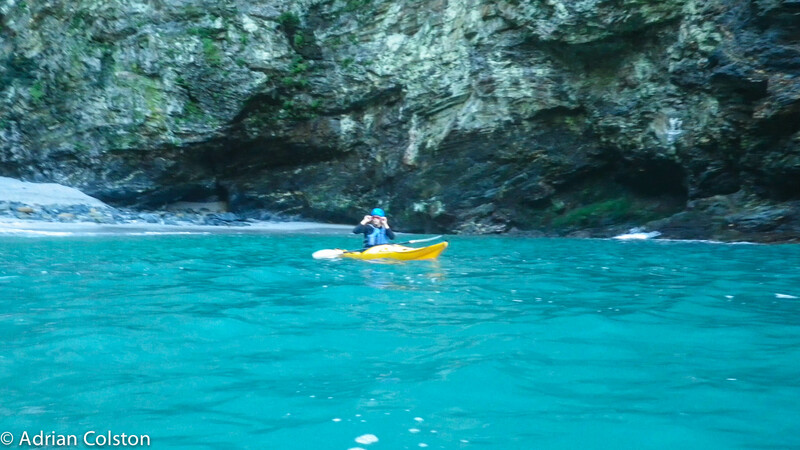 I now feel so much more qualified and confident to explore. 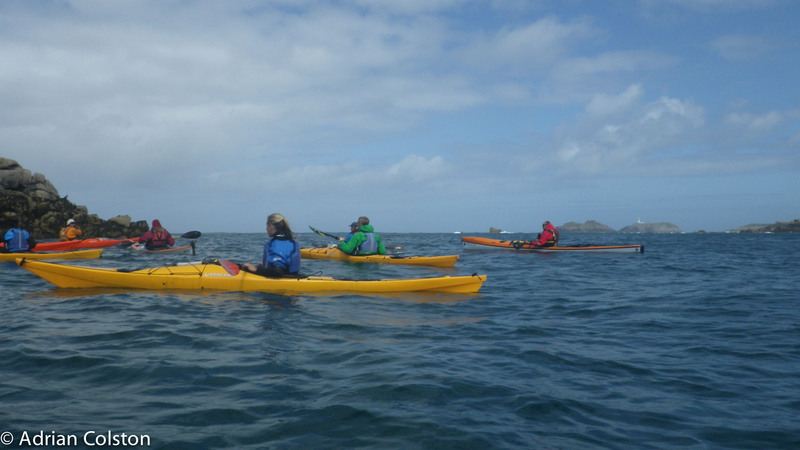 I will also be going on other Sea Kayaking Cornwall courses and expeditions in due course – can’t recommend them enough. Find your level and give it a go. 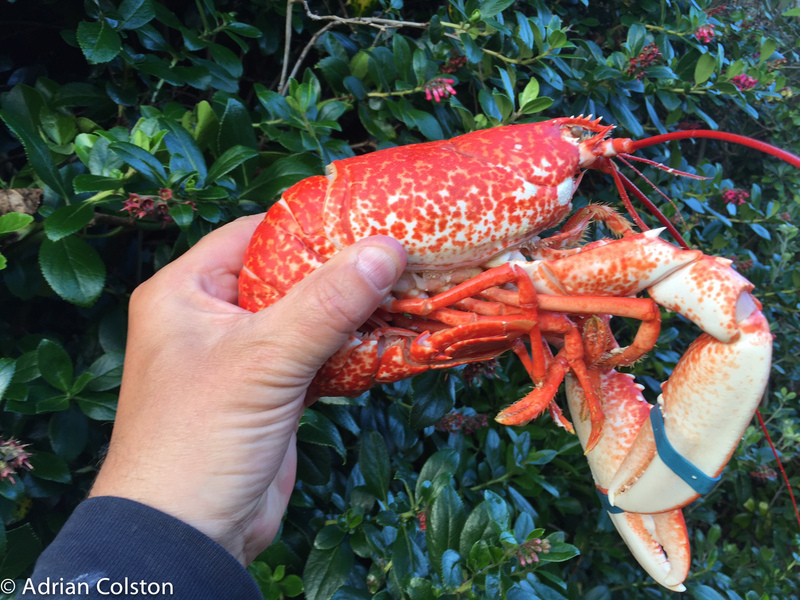 Last night we had a ‘Scilly’ barbecue – freshly caught lobsters, crabs and mackerel by local fisherman Paul Lewis. 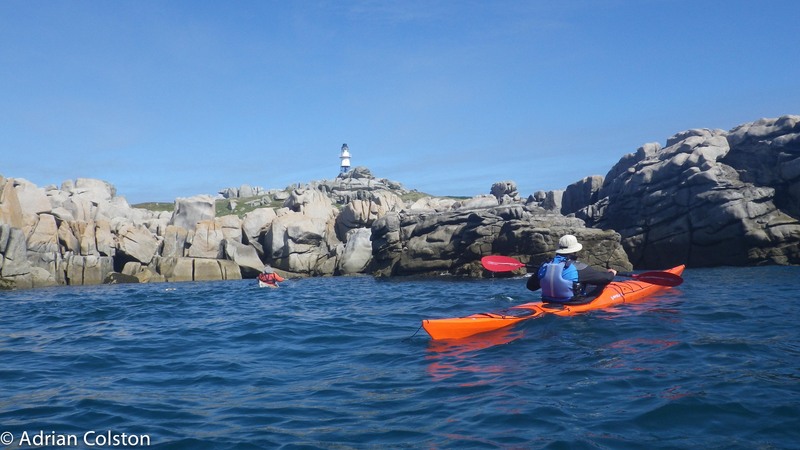 Today is the last day of the sea kayak holiday and we set out on a circumnavigation of St Mary’s. 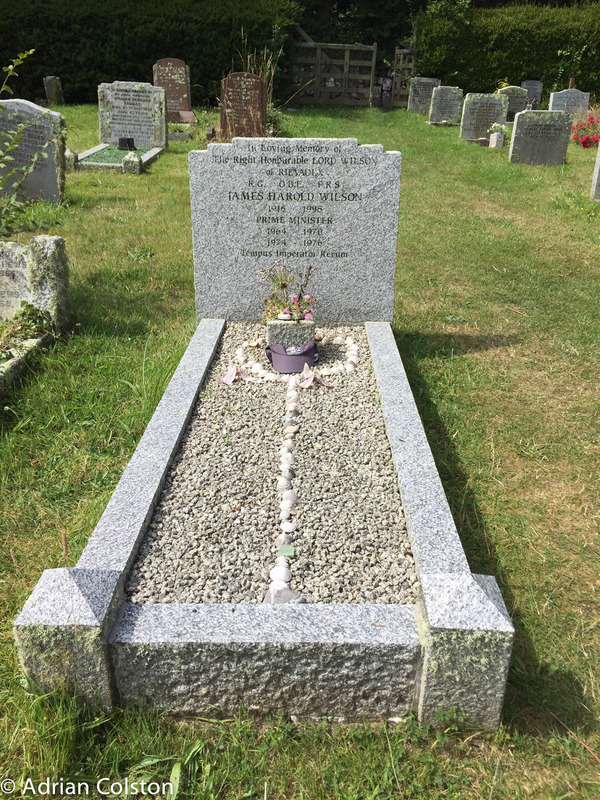 Our first stop of the day was at Old Town Beach – I took a few people up to the Church to show them Harold Wilson’s grave. 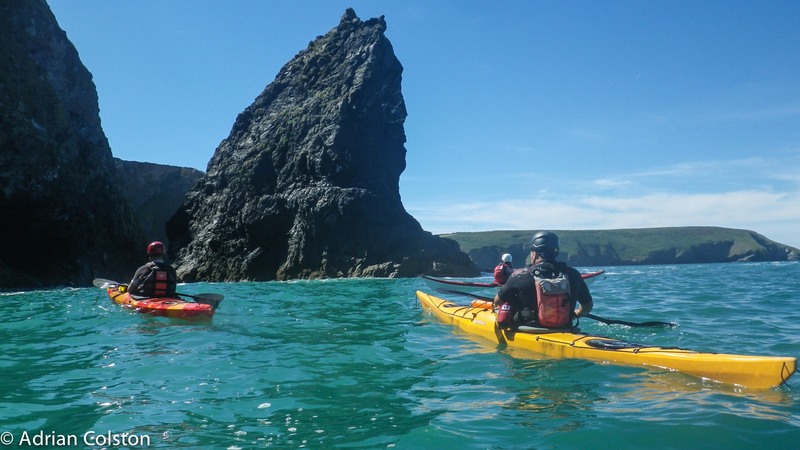 An amazing week with Sea Kayaking Cornwall – thanks so much to our guides and tutors Shaun and Mark – highly, highly recommended if you want an adventure. 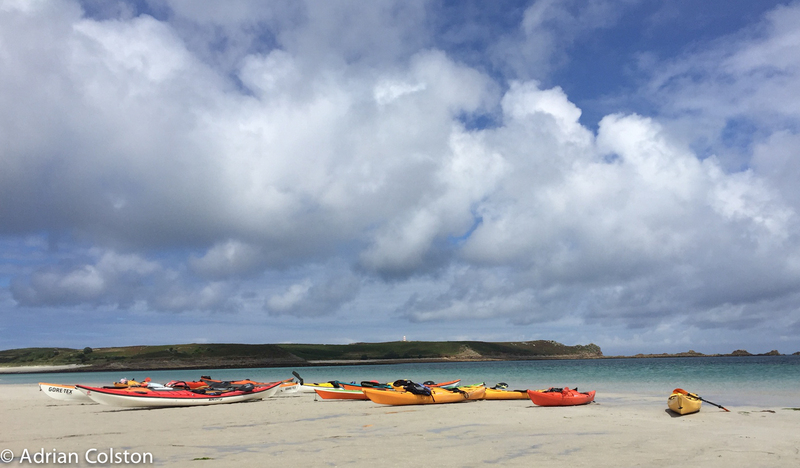 Had a fantastic paddle from St Mary’s around and through the Eastern Isles today – all in the hot sunshine, in total we covered around 15km. 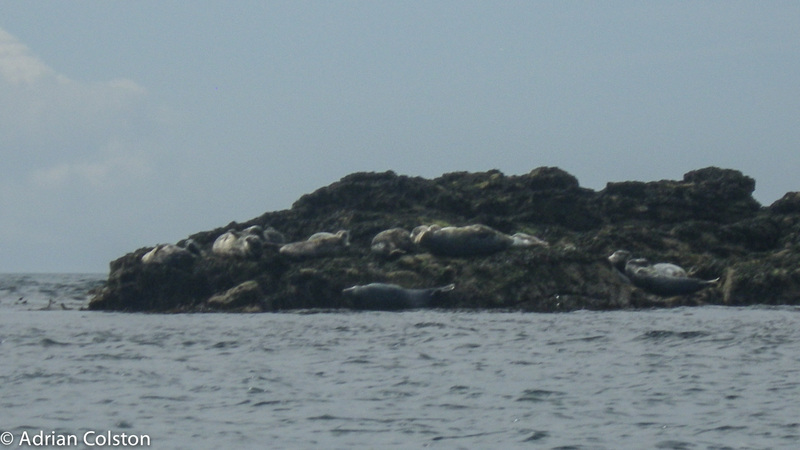 The Eastern Isles are a good place to see seals – these Atlantic Grey will be pupping in a week or two. 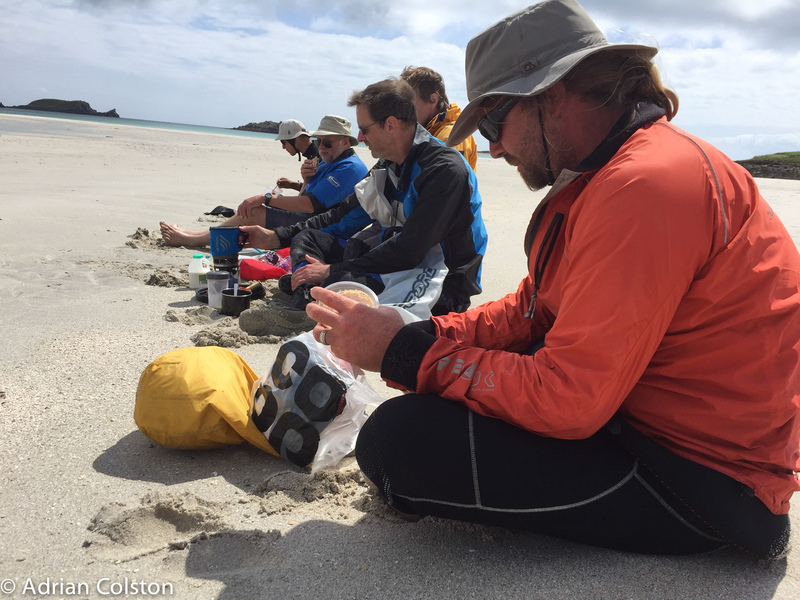 We had our lunch on a huge sandbar off St Martins – a couple of hours later the whole thing will be covered by the Atlantic! 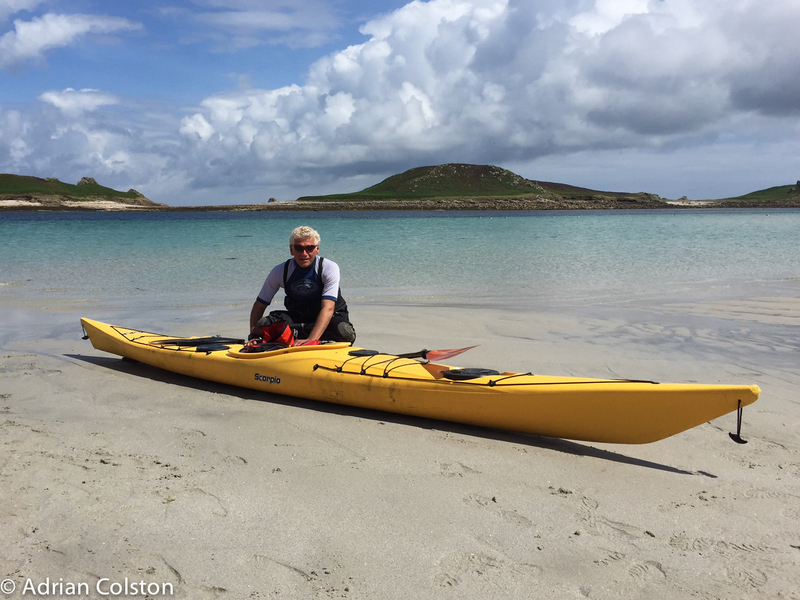 Me and my boat in the Eastern Isles – another great day with Cornwall Sea Kayaking. 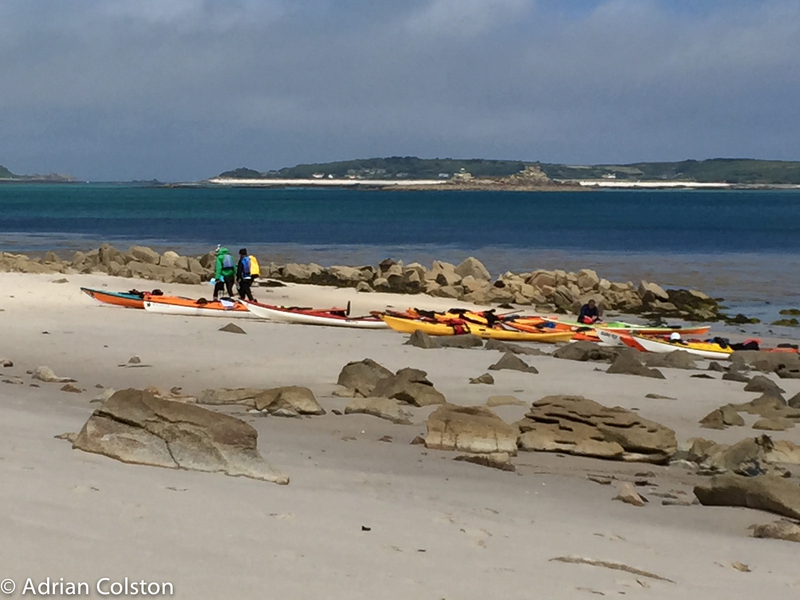 Another fantastic day’s weather – we started this morning on a lovely long beach on Tresco – we were taken back to St Mary’s last night on a warp factor 10 speed boat after the wind got up making our return by paddle unsafe. This morning we were brought on the same boat but this time at warp factor 5. 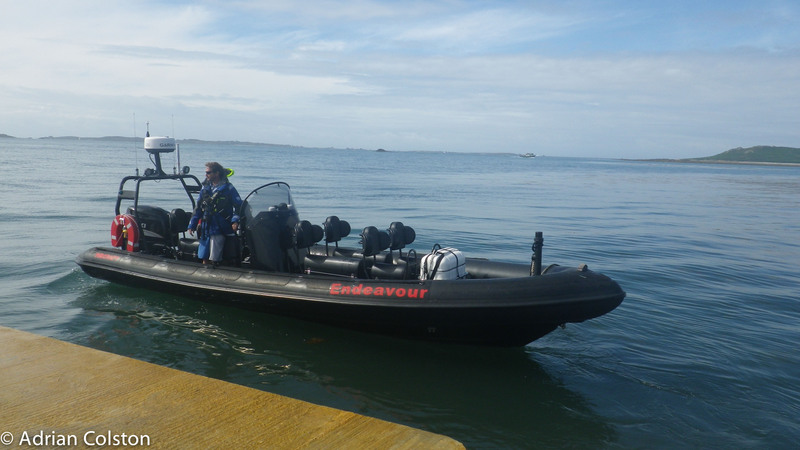 The Endeavour – a rapid way to start the day. 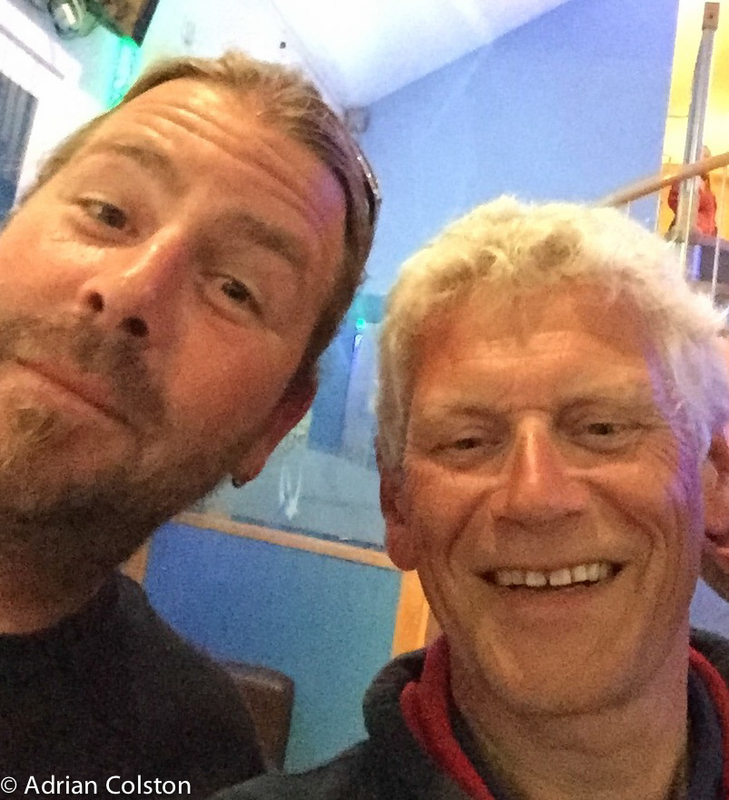 Dropped into the Seven Stones pub for a pint and by chance met The Scilly Sargeant (Colin Taylor) – I wrote a review of his excellent memoir of his time on Scilly – see here and he had liked it so I thought I would say hello. 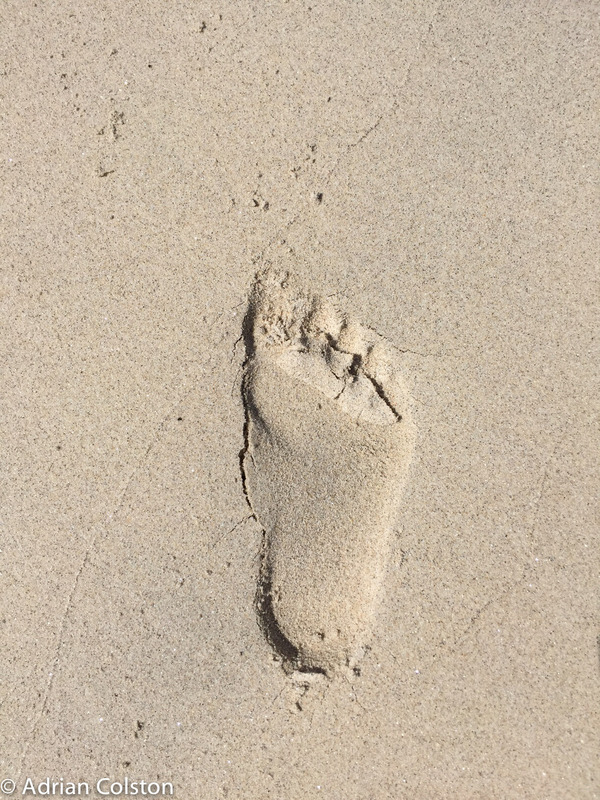 It turned out that today was his last day on the Islands – he returns permanently to the Mainland tomorrow. A selfie with him seemed the right thing to do. 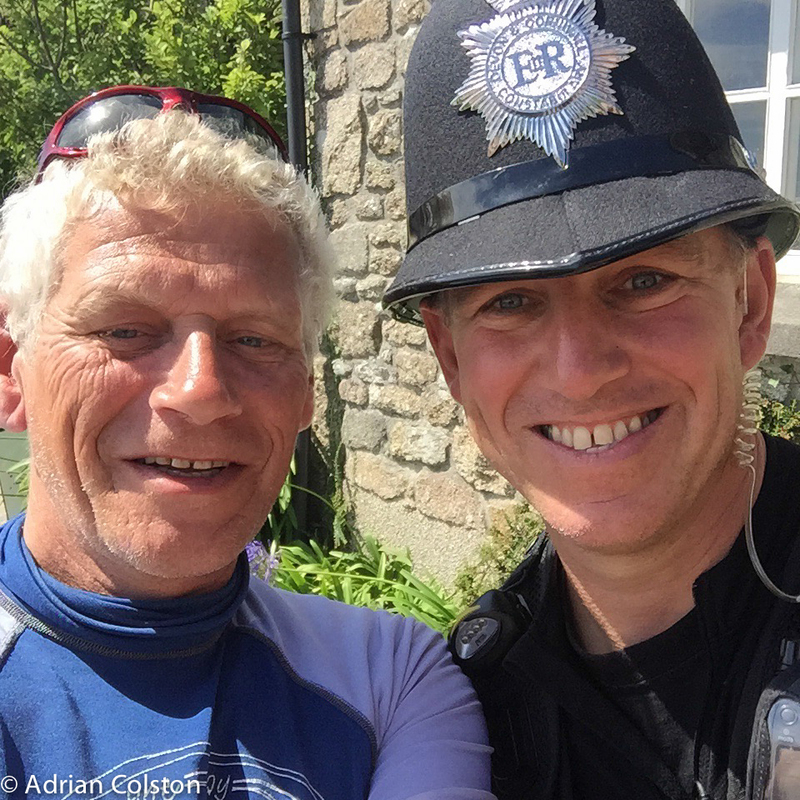 All the best to Colin for his new future in the Police Force in Devon. 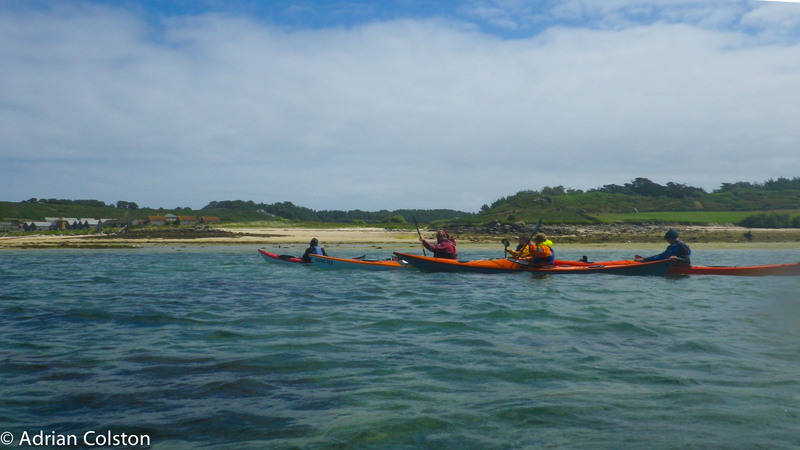 A long paddle back to St Mary’s where we had to take ‘evasive action’ to avoid the departing Scillonian. 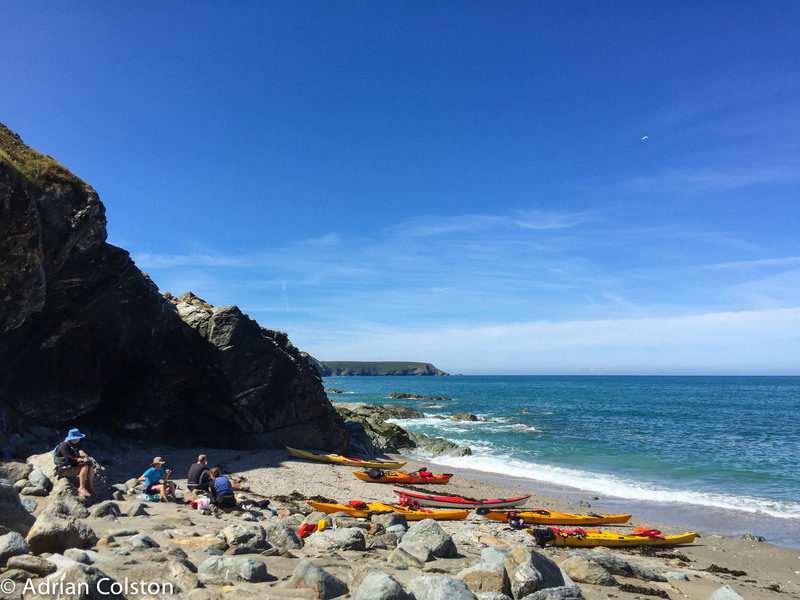 Another excellent day – we paddled 8.5 miles in total. 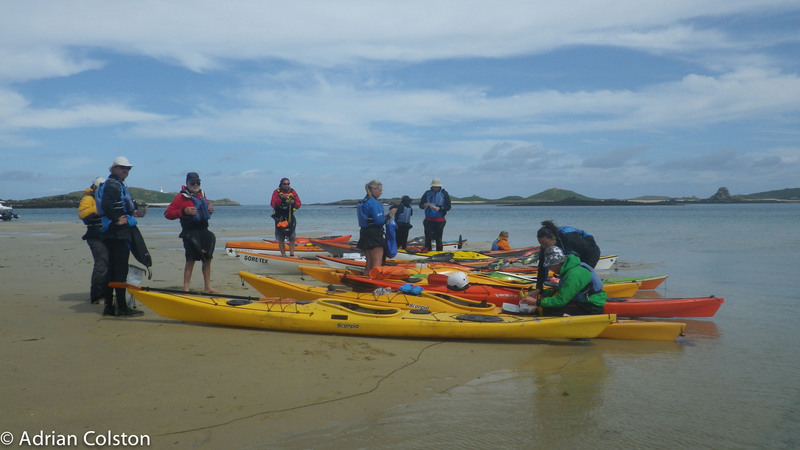 Tomorrow (weather permitting) we are off to the Eastern Isles. 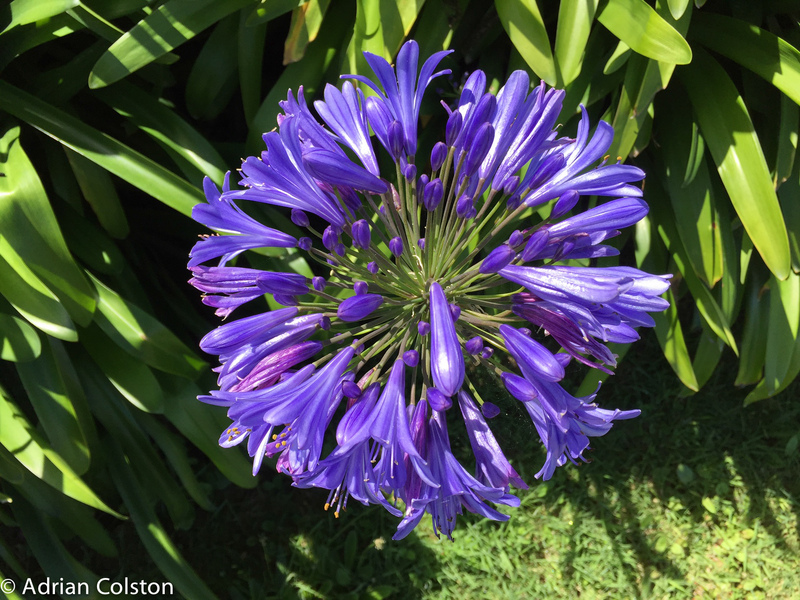 What a great day – after two days of rain and wind today the sun came out. 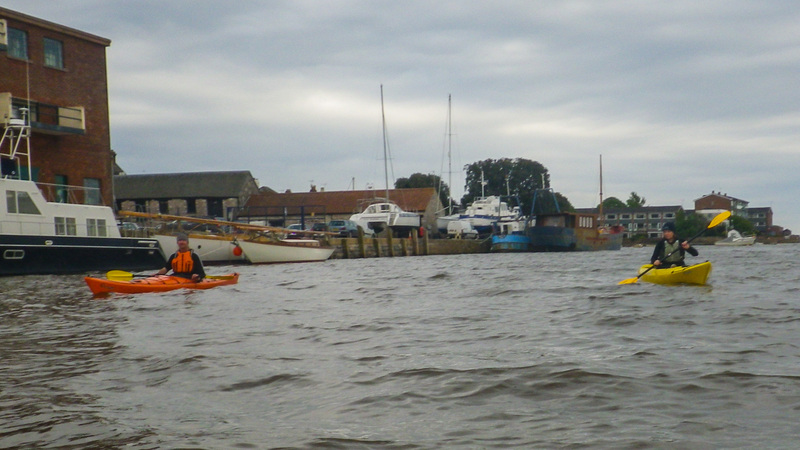 We still had a stiff westerly wind but it doesn’t stop us all getting out for a decent paddle. 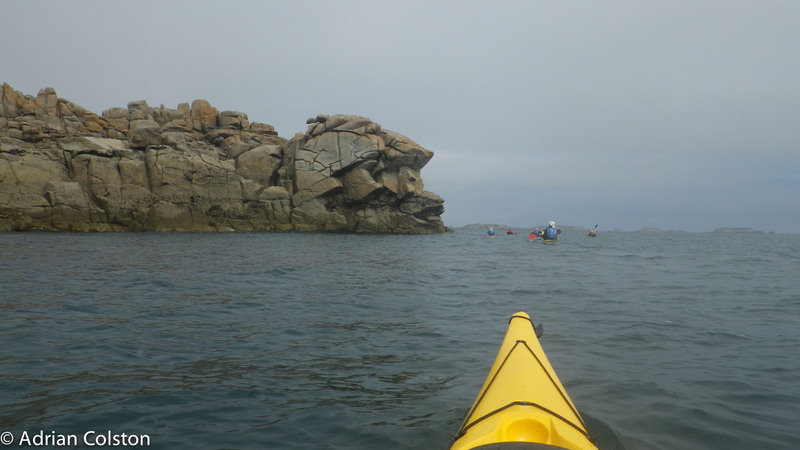 We set off from St Mary’s and headed over to Samson. 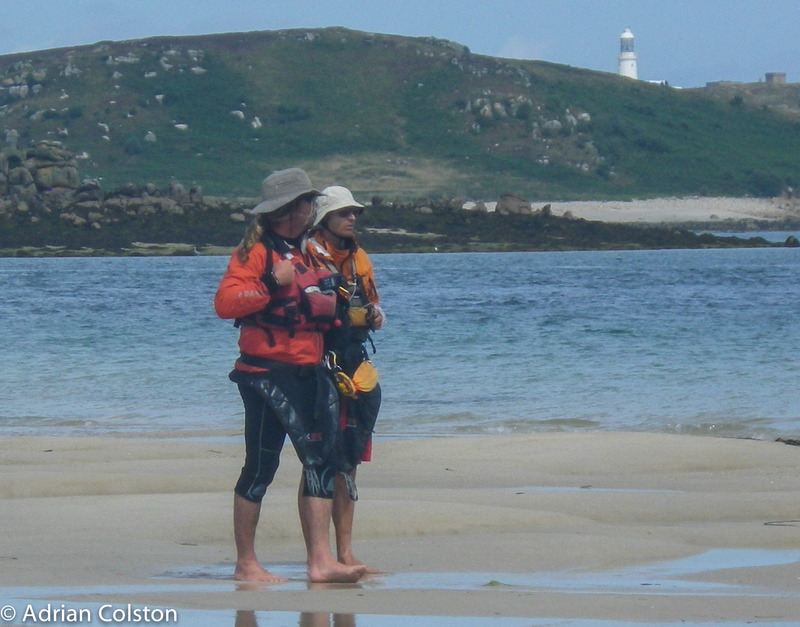 It was quite a lumpy crossing and the wind meant my boat kept getting blown off course. 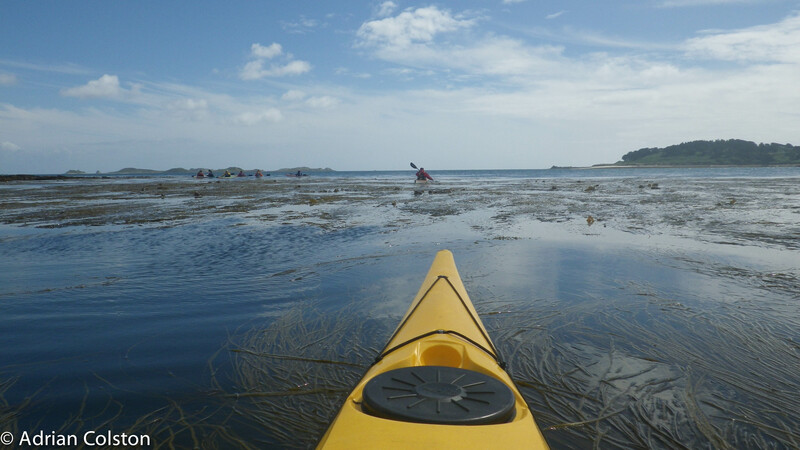 We got there though – so chuffed – it was really low tide so there was acres of sand around the island. 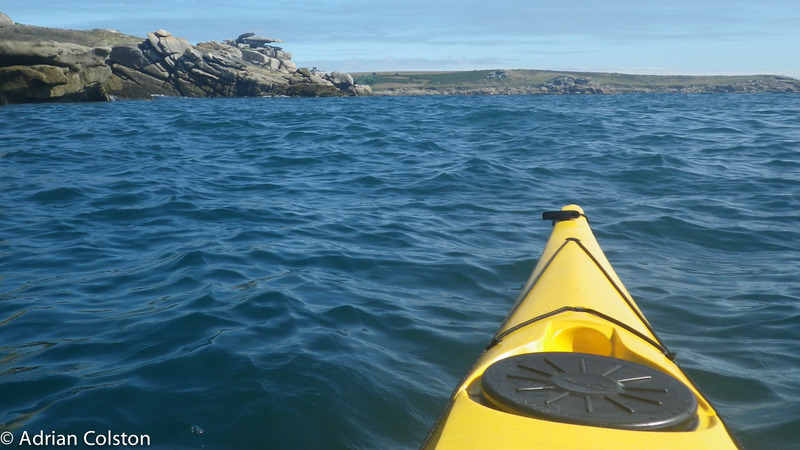 From Samson we headed onwards to Bryher. 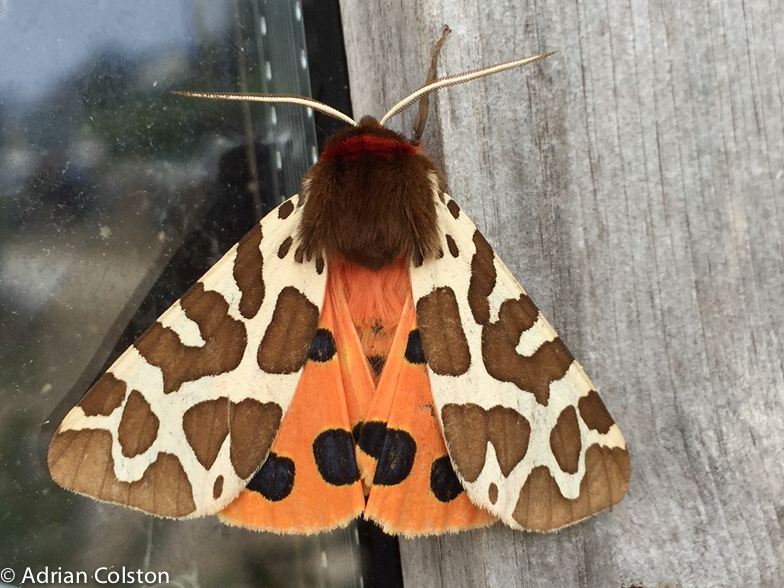 Wildlife highlight of the day was finding this Garden Tiger on the door of the Bryher Gig Shed. 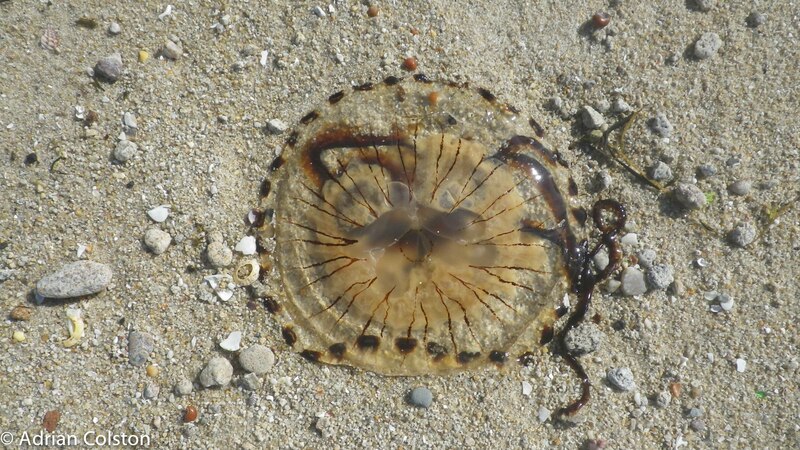 A rare animal now – has declined by over 80% in the last few decades – I haven’t seen an adult for 10 years! 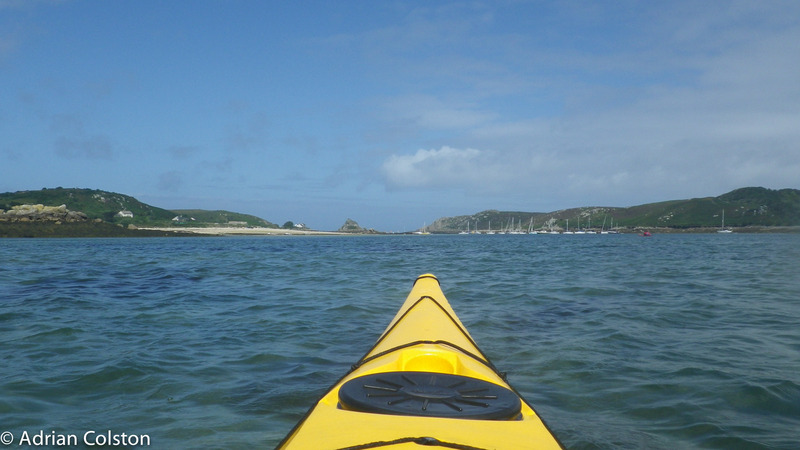 At the end of the Tresco Channel you can look across to Round Island and its Lighthouse. 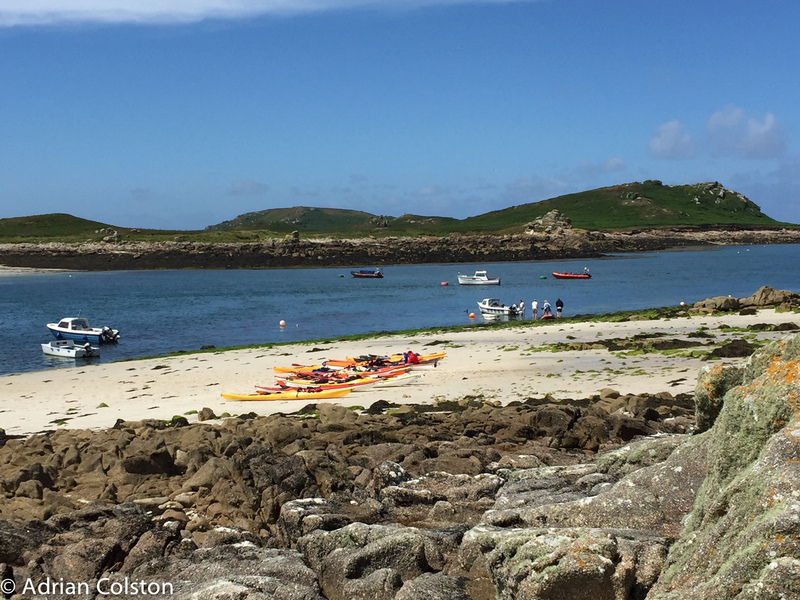 Achieved a lot of things I haven’t done before today – one of my best days ever on Scilly.